Is it weird that I always crave for comfort food after a long workout like 2 or 3 hours of tennis or badminton? Having finished some high level doubles matches in Stanley, I was starving. 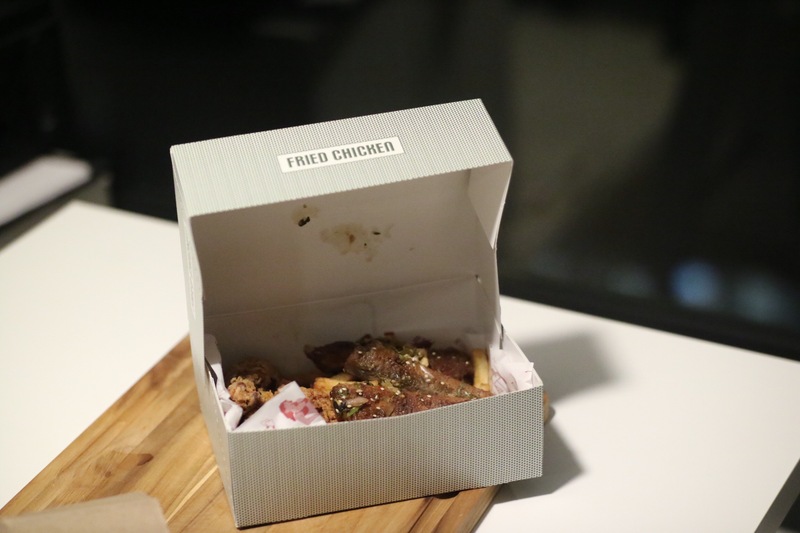 I decided to stuff myself with some fried chicken. 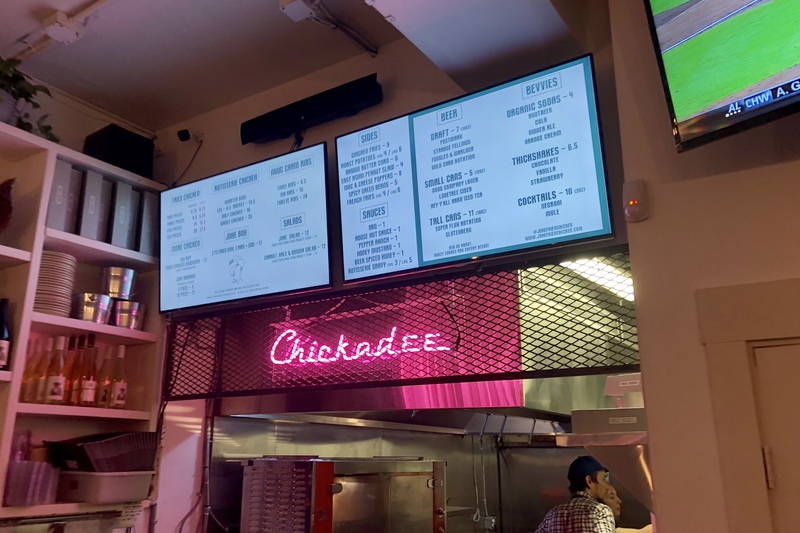 Only a couple blocks from my place, Little Juke is the newly opened fried chicken shop in the West End and the little sister of the original Juke in Chinatown. 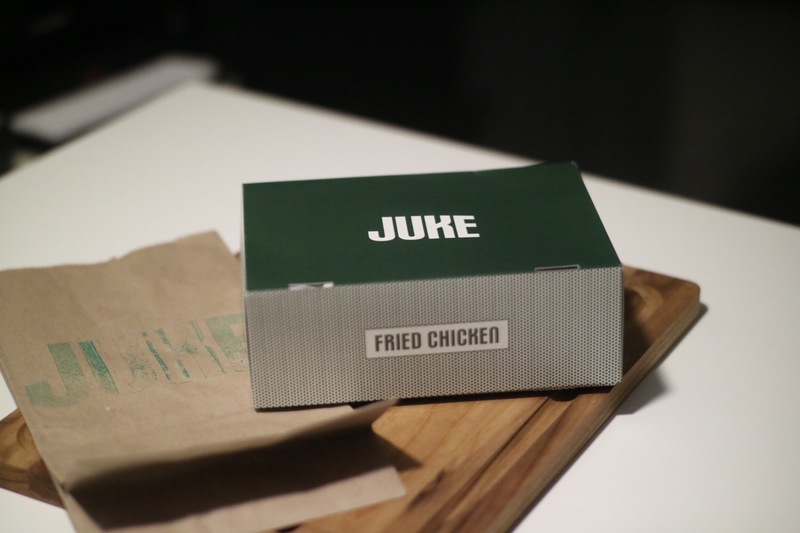 I always like Juke, not just for their chicken, but also for the cute cocktail bar and the well-curated cocktail menu. 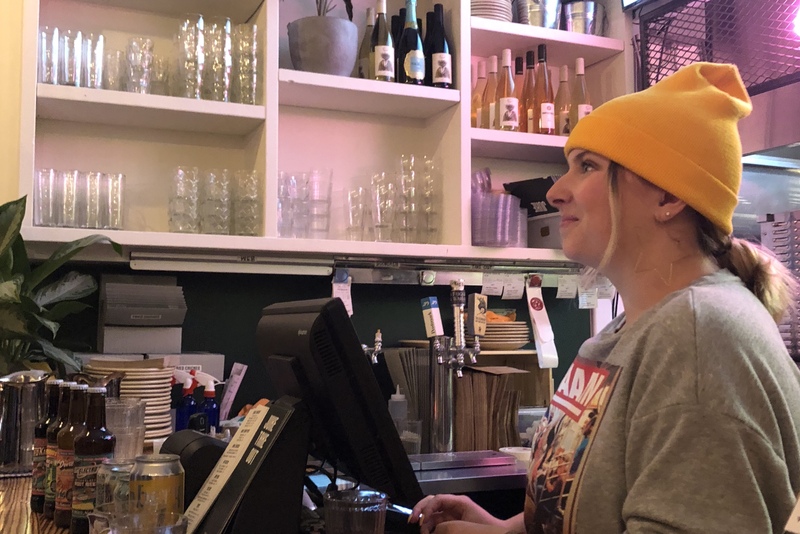 There were only wine and beers served at the new spot. The bar manager at Juke once informed me that the were going to sell cocktails on tap at the new spot, something like negroni. But apparently this is not ready yet. So I ordered a beer while I was waiting. 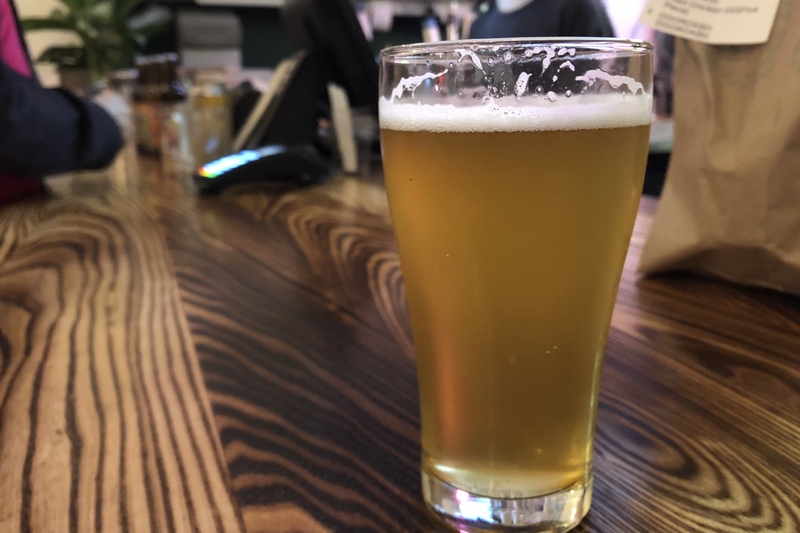 They carry local brews from Four Wings, Benchmark, and Fuggles & Warlock. The restaurant is small, fitting around 20 people in the dining area. And there was a small lineup for takeout. 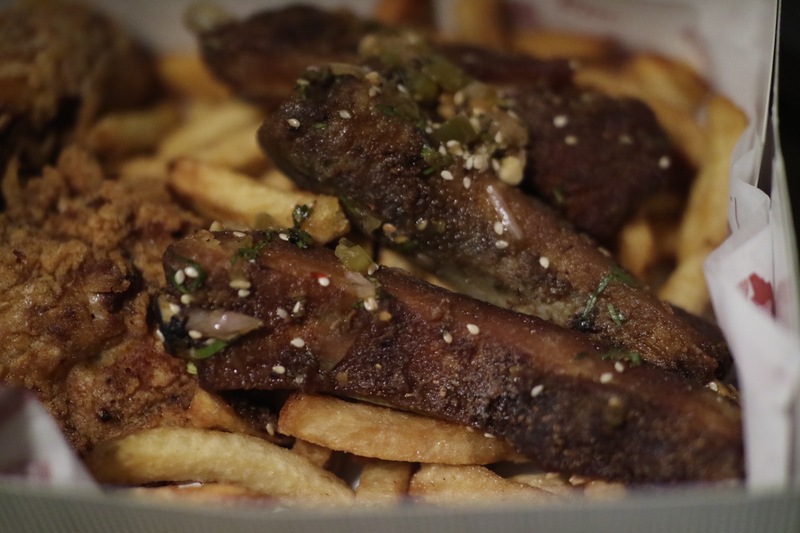 Fixated on my enormous hunger, I decided to treat myself with the Juke Box, a combination of 2 pieces of fried chicken and 3 pieces of their Nuoc Cham ribs, and side of small fries. I practically ran home as I couldn’t wait to open the “Juke Box”, or should I call, the “Jewel Box” of yummy fried food! 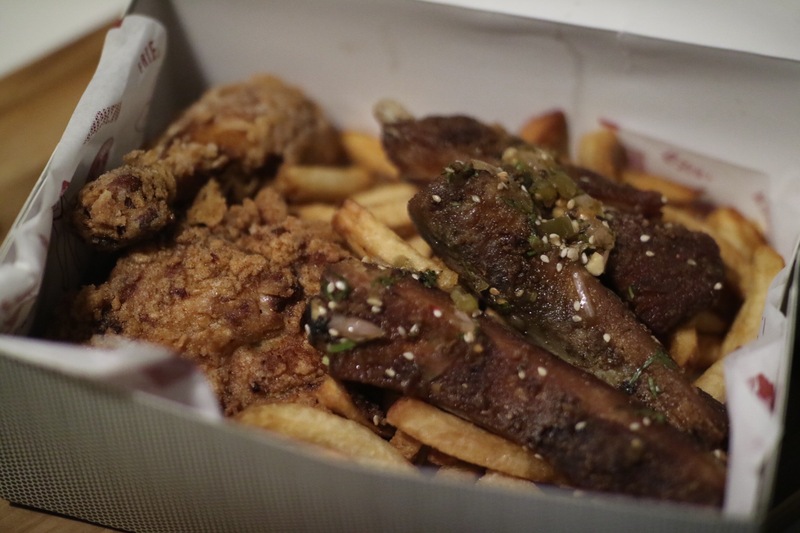 As I mentioned before, I usually preferred the Korean fried chicken with lighter breading for enjoying the crispy skin. 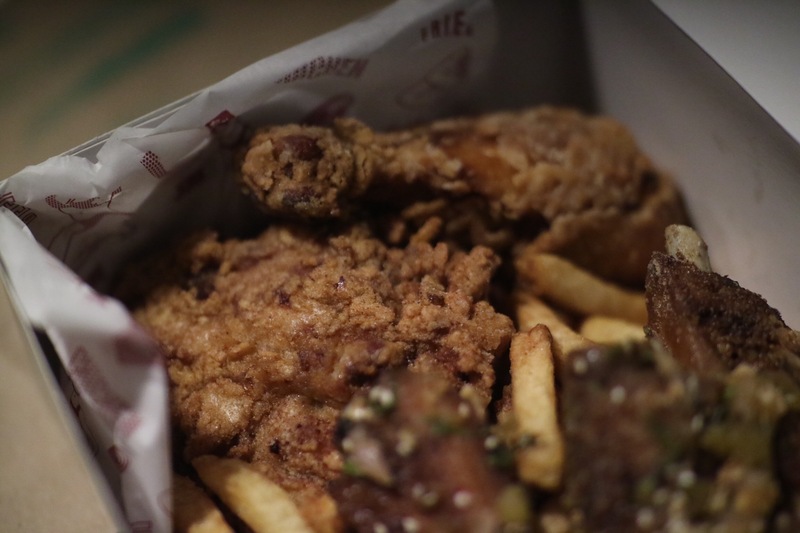 If it’s for take out, the American South style fried chicken seems to hold up the crunchiness a lot better. There is also something rustic about the crunchiness on Juke’s fried chicken, probably due to their gluten-free breading. The flavour of the juicy chicken meat was also amazing, showing that it was well brined and seasoned. I didn’t mind the ribs. But I thought it would be dry ribs covered with heavy nuoc sauce, but the Nuoc Cham sauce is rather subtle despite the saltiness. 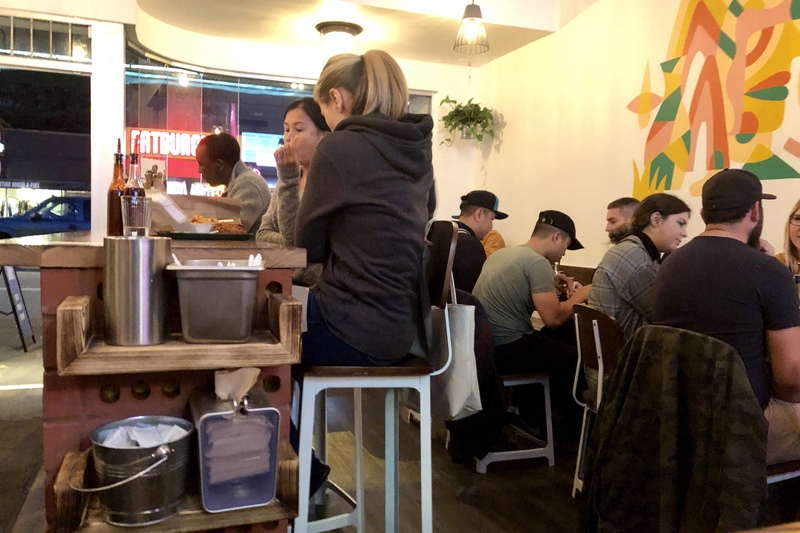 The fried chicken at Little Juke is consistent with the original Juke in Chinatown, showing the same rustic crunchiness on the gluten-free breading, and the flavourful juicy meat well brined and seasoned. The Nuoc Cham Ribs doesn’t taste as exotic as it sounds but it’s not bad if you are into dry ribs. Personally, I would love to see the ribs saucier, but that’s just my preference. I can see myself coming here often when I crave for a piece of fried chicken comfort. The cold and wet season is about to start!